We know that choosing to be a conscious consumer can be overwhelming at times, so we’re here to help. In this series, we’ll show you how to stock up on socially responsible products in every area of your life, from planning a vacation to making your holiday gift list. A girl can never have too many scarves in our opinion. But a gift from Block Shop is more like a work of art than a simple scarf. The Bagru by LA based company has a mission to make heirloom textiles that have high social benefit and low environmental impact. We love the lifecycle of each scarf from concept to production: gorgeously designed on paper, printed with wooden blocks and dyed in small batches. Shinola is hands-down one of the coolest brands around right now. You might know them best for their made-in-America bikes and watches, but we love these hard linen-covered notebooks, at a more accessible price point.. Handcrafted in Ann Arbor, MI, from all US-sourced materials, including acid-free paper from sustainably managed American forests, this is a notebook anyone would be proud to carry. 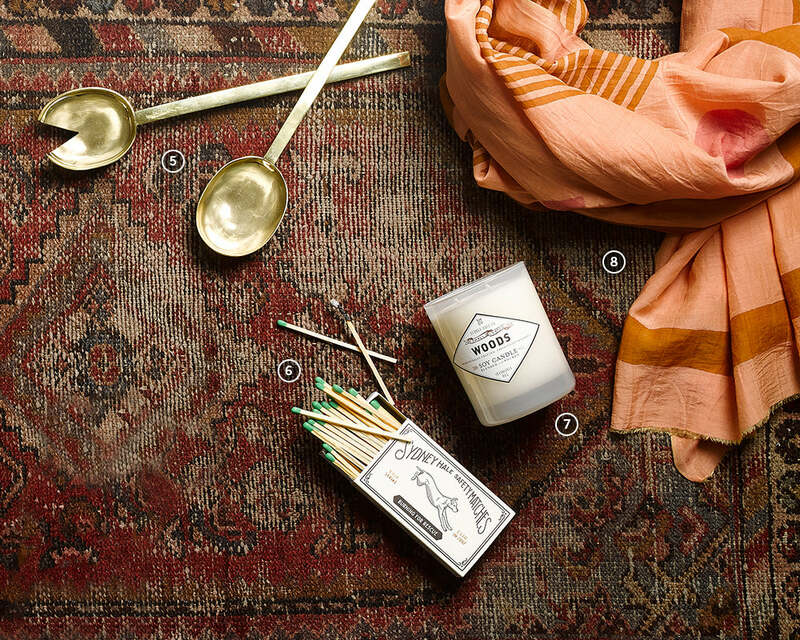 When you shop from Sydney Hale, you can choose from rich, nostalgia-inducing scents like “Smoked Cardamom + Honey,” “Sea Salt + Bay Rum,” and “Clementine + Clove.” We’ve been burning the “Woods” candle at the office to bring a little evergreen into our mornings. It’s been magical. As if a gift your recipient would never buy for herself wasn’t fun enough, each candle also supports animal rescue. Throw in a set of beautifully branded easy strike matches and you’re on your way to best gift of the party. We wish Found My Animal made a human version! This ombre number is not only the most fashionable dog leash that has ever existed, but it also has a very special message. Each leash sold by the company promotes pet adoption, a cause both you and your favorite pup can get behind. There’s more to these serving spoons than meets the eye. Each 100% pure brass set is made by hand—heated, cut, shaped and polished—by artisans in Uganda, at above-market wages. Trust us when we tell you that they are even more beautiful in person than they are online. Cute right? We think so. There’s something about the combination of style (we all know bucket bags are having a moment, but the Mini is the perfect cross body moment), price point (under $50!) and cause (each one provides 25 school meals when sold). We’re especially excited about Pale Fog for winter looks. 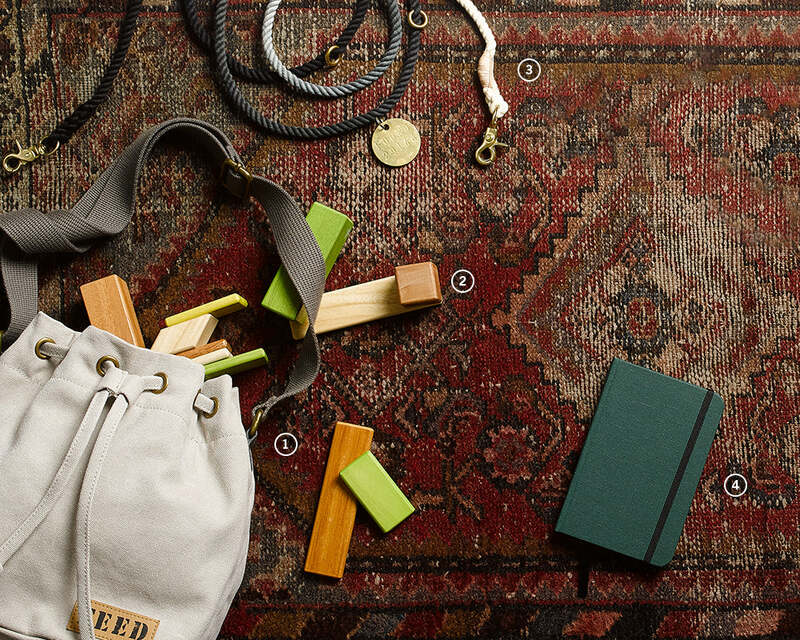 Tegu blocks are our new go-to kids gift for many reasons. Unlike so many toy companies today, Tegu is committed to an ethical supply chain that has positive long-term effects both here and abroad. This block set is designed in the USA and purposefully made in Honduras with sustainably sourced Central American wood.